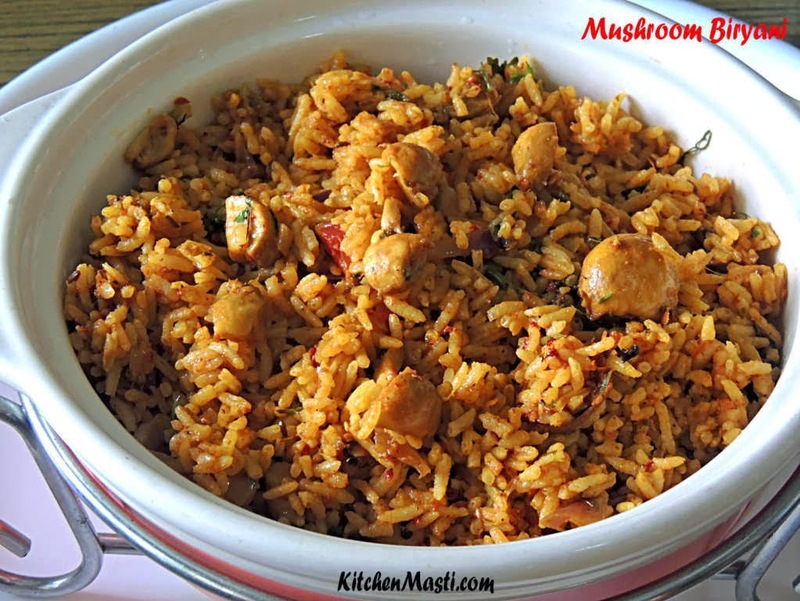 How To Prepare Mushroom Biryani. The ingredients mentioned here in enough for 4 servings and the time taken to prepare this rice is around 1 hour. Basmati rice - 1 big cup. Curds - 1 1/2 tbsp. Oil or ghee - 2 tbsp. Cinnamon - 2 sticks medium length. Bay leaf - 2 leaves. Method To Make Mushroom Biryani. First and foremost boil the rice in the cooker adding water in the ratio of 1: 11/2. Allow it to cool for some time. Heat a big pan with oil in it. Add the tempering items and fry in medium heat for around 1 minute. Mix in the chopped onions and tomatoes and fry till the onion changes its color slightly. Add mushrooms and fry for a couple of seconds. Later on, add the ground green paste, red chilli powder, turmeric powder, salt and boil for around 5 minutes till the mushrooms are slightly tender. Now add curds, coriander powder, and garam masala powder. Mix it well. Finally add the boiled and cooled rice, lemon juice and mix it well. 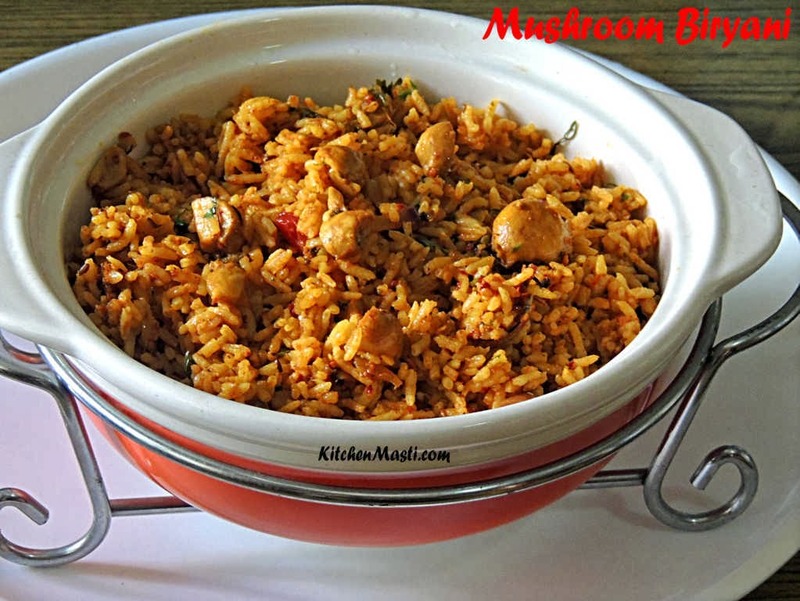 Your hot and spicy Mushroom Biryani is ready to be served.!!! You can omit red chilli powder and increase green chillies for a spicier taste. You can mix in tomato puree of 1 cup if you wish to have a tangy taste. See to it that the mushrooms are of good quality. It tastes best with curds raita.